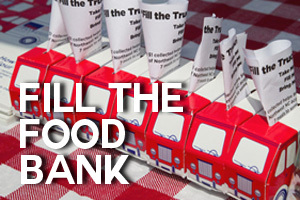 Did you know one in six people in northwest North Carolina struggles with hunger, and one in four children go without the nutriion he or she needs to thrive? Help the Winston-Salem Open help the Second Harvest Food Bank by bringing donated items to the tournament. Click here to learn more. 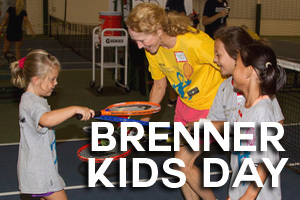 The Winston-Salem Open is delighted to host its eighth annual Brenner Childrens' Hospital Kids' day powered by Net Generation. To learn more about the benefits of this special event and for registration details, click here. North Carolina is home to the third largest military population in the United States. 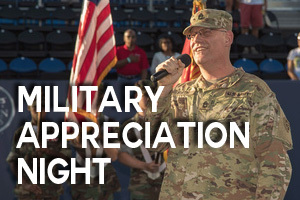 Fort Bragg hosts more general officers than any Army installation outside of the Pentagon, and the Winston-Salem Open wishes to honor these and other brave men and women who serve our country. To find out more about our special night, click here. 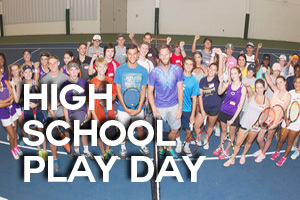 Are you a high school tennis player? Then you can play at the Winston-Salem Open! Have you ever wanted to visit the home of the 2018 National Championship Men's Tennis team? This is your chance to participate in our High School Play Day. For more details and sign up information, click here. We have more than 30,000 USTA members in North Carolina, and we love to say thank you to those special folks with day filled of prizes, food, and fun. To become a USTA member, visit the website, and to find out the details for this special event, click here. 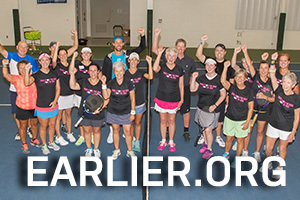 The Winston-Salem Open and USTA North Carolina are proud to offer a special clinic to benefit earlier.org. Earlier.org is the nation's only breast cancer charity focused exclusively on supporting research for new discoveries of an innovative biological test to detect breast cancer earlier. To sign up for participation in this event, click here. 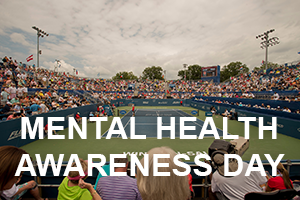 The Winston-Salem Open and Westwood Swim and Tennis will team up for mental health awareness. Players of all abilities can take to the courts with ATP players in an effort to raise money for the Mental Health Association of Forsyth County. For details and registraion click here. 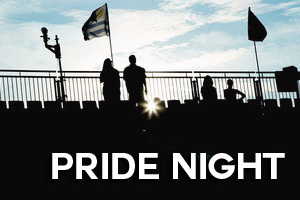 The USTA Office of Diversity and Inclusion, the Gay and Lesbian Tennis Alliance, and the Winston-Salem Open invite you to be part of our special evening and celebration of pride. To find out more about ticket specials and other opportunities, click here. 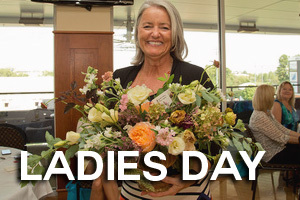 The Winston-Salem Open loves to celebrate all the wonderful women out there, and we are doing just that with the help of Wake Forest Baptist Health! We look forward to sharing a special afternoon with you. For more details, click here.